Domestic clearance may have been something you have never faced before. 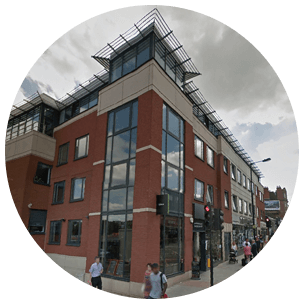 You may have thrown out junk during spring cleaning but waste clearance in West Hampstead is a much larger step. It will involve assessing all the goods in your abode so that you can determine what items have to be disposed of. If goods are simply taking up space, are old and worn, you have no use of them and so on, then you need rubbish disposal NW6. However, carrying, arranging, and transporting these goods can take a lot of work. You will also have to ensure that certain items are correctly and safely disposed of. 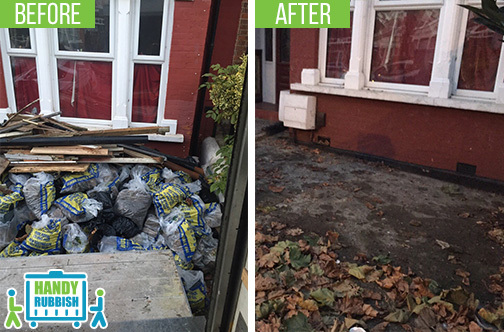 If you want this process be simple and successful call 020 3540 8282 and speak with Handy Rubbish. We are a leading West Hampstead rubbish clearance company in NW3 area which can assist with all aspects of the chore. When you call us on 020 3540 8282, we will be able to guide you through the property clearance process so that you can handle home, office, garden flat or builder’s waste disposal. Our NW6 rubbish removal team can give you tips and advice so you know what to do and what you can expect. We can get much more involved by sending our house clearance professionals to your address in NW6 area. They will be able to perform everything thoroughly and appropriately for you. They will sort through your things with you, provide bags to place junk in and carry them out of your home. They will be able to convey things to the proper West Hampstead waste disposal sites, such as landfills, recycling depots, etc, so the job is completed correctly and above board. We take care of all these aspects so you don’t need to do a thing and can relax as the junk is taken out of your home, clearing the space in your building. We offer flexible property waste collection services in NW6 region as well so you can get exactly what you need. We can perform the entire process for you or we can just do some aspects of it, such as transporting the unwanted goods away. We offer skip hire in West Hampstead too, so that you can do things your own way and at your own pace. You can book the necessary NW6 waste removal services and get a great deal with our free quotes, so contact Handy Rubbish and request a free quote today. In the rest of West Hampstead we have not seen any rubbish clearance firm like them. The difference is because of training, motivation and working tools. Simply the best rubbish disposal company in NW6! The greatest value for money in West Hampstead! It is just north of Charring Cross and a part of the London Borough of Camden. Nearby places include Hampstead, South Hampstead, Swiss Cottage, Childs Hill, Cricklewood, Fortune Green, Kilburn and St John’s Wood. The area itself is part of the NW6 postcode area, with its surrounding locations being within the NW3, NW6, NW8 and NW2 areas. West Hampstead was formerly known as West End when it was a village. As the railways opened, it became urban, as farmland disappeared and many new homes and other buildings were constructed. Its close proximity to Central London and the City of London makes it a popular spot to live in, especially for those who commute. Bars and restaurants are every common here and it has retained much of its village atmosphere in West End Land, which is home to bakeries, cafés and small stores. Many notable people have lived in the area including actors Emma Thompson, Imelda Staunton, Angela Griffin and Jim Carter, musicians Slash, Dusty Springfield, Chaka Khan and Joan Armstrong, comedians Johnny Vegas and Matt Lucas, Thunderbirds creator Gerry Anderson and many more.